Future-proof your business today for stronger performance tomorrow The Stress Test Every Business Needs A Capital Agenda for Confidently Facing Digital Disruption, Difficult Investors, Recessions and Geopolitical Threats provides a comprehensive approach to creating value and flexibility in an increasingly volatile business environment that presents both great risks and opportunities every day. 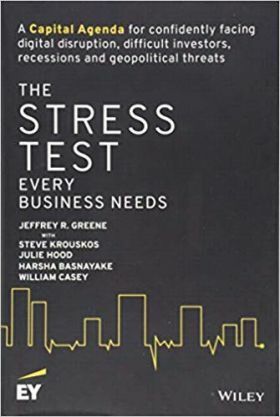 The authors extend the banking "stress test" concept to a company's Capital Agenda -- how executives manage capital, execute transactions and apply corporate finance tools to strategic and operational decisions. Having a static Capital Agenda, however appropriate for your current market position, is not enough in today's uncertain world. Long-term success comes from building resilience into each element and in the way those elements interact. The book uses a broader definition of business stress that includes traditional macroeconomic and geopolitical risks, as well as technological disruption, hostile takeovers and activist shareholders. Companies that make poor strategic decisions or underperform operationally will likely find themselves facing great stress. And that stress is symmetric; threats come from downside risks and from missed opportunities. The chapters address the how and why of essential issues such as: Formulating corporate strategy in a digital world Pre-empting activist shareholders Restoring distressed companies to operational and financial health Ensuring effective collaboration among strategy, finance and operations Getting the most out of your advisors Proactively managing intrinsic value Rigorously allocating capital across the enterprise Acquiring and divesting for optimum value Syncing financing decisions with business strategy and capital market conditions Incorporating tax planning throughout the Capital Agenda Liberating excess cash with leading working capital management practices Aligning strategic goals and metrics to reach your company's full potential Companies that develop strategy and set operational priorities with a balanced Capital Agenda are best positioned to control their own destiny. 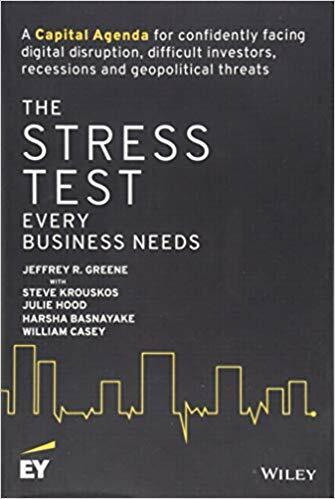 The Stress Test Every Business Needs provides a roadmap to future-proof your business today for stronger performance tomorrow.